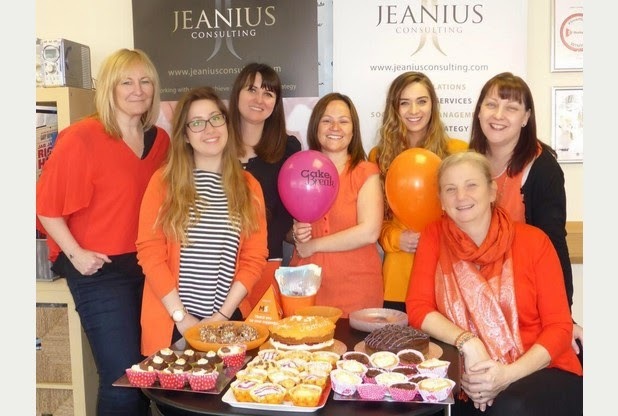 Always the first to get involved in charitable events, the team at Jeanius hosted theirfirst ever Cake Break in Aid of Multiple Sclerosis on Tuesday 12thMay, raising a fantastic total of £350 for the charity. With each team member donating a range of homemade cakes, the Jeanius officeprovided the perfect base for this wonderful event, as an array of visitorsfrom Milton Keynes College, MK2 Business Park and many more local companiesstopped by for a tasty treat, and all for a brilliant cause. Morethan 100,000 people in the UK live with Multiple Sclerosis, and there iscurrently no cure, but all the money raised helps to contribute to a better wayof life for MS sufferers. Delighted with the success of the event, PR Manager, Amanda Roberts said:"TeamJeanius activelysupport a number of charities, and with great gusto have thrown themselves intopreparations for Cake Break, with an amazing assortment of cakes and orangedécor! The MS Society is a charity very close to my heart and I have beenoverwhelmed by the donations we have received, helping to raise much neededawareness and funds for those affected by multiple sclerosis."